WARP3D is under continuing development as a research and production quality code for the solution of large-scale, 3-D solid models subjected to static and dynamic loads. 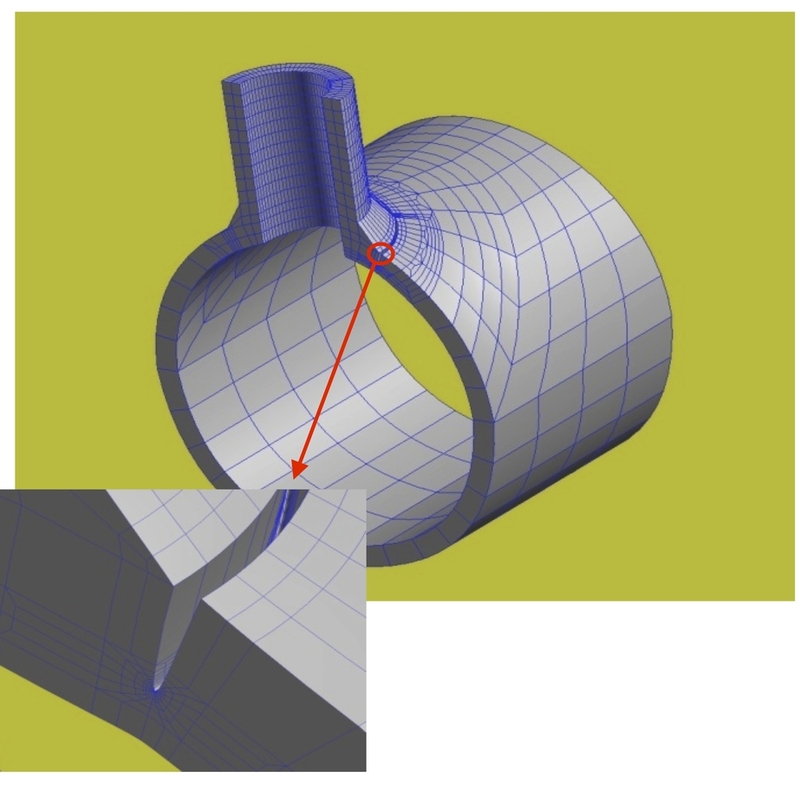 The capabilities of the code focus on fatigue & fracture analyses primarily in metals. WARP3D runs on laptops-to-supercomputers and can analyze models with millions of nodes and elements. See Capabilities page for detailed list of features. The distribution includes: ready-to-run executables, extensive documentation and verification sets, workflows, all source code, build scripts. Key features in 18.0.0: WARP3D may now be built/modified using the GNU gfortran compiler system on Linux and MacOS (no paid compilers/libraries required). Removed the built-in limits on the maximum number of model elements and the built-in maximum number of element blocks. These updates remove the remaining fixed-size arrays in the code. All the key data structures are now dynamically allocated. 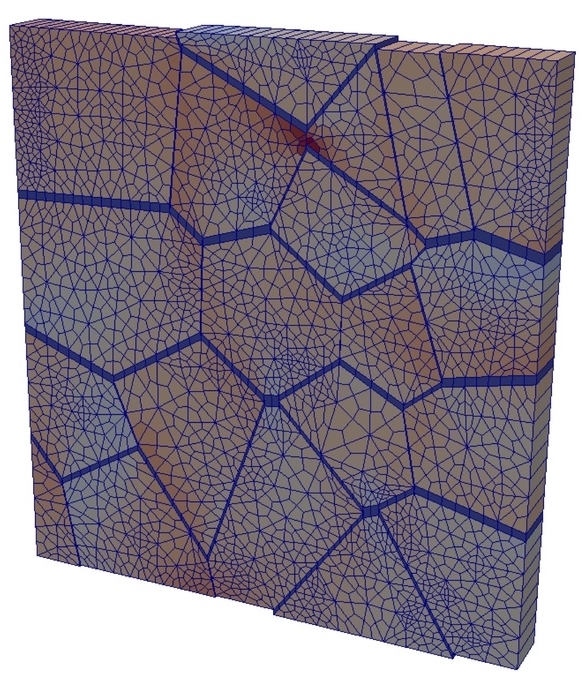 J-integral computations are verified to work with simulations that employ crystal plasticity material models. This site contains general information about the WARP3D project, capabilities and links to download documentation and compressed files for the entire system that contain: ready-to-run executables for Windows, Linux, Macs; all source code and build scripts; all documentation, example and verification suites. The code development and management site at GitHub. The default (master) branch is maintained with continuous updates to the source code, supporting build files and the history/tracking of all changes are available for download at this site.